Walking through the streets of Rome we happened upon two street performers fully engulfed in their craft. 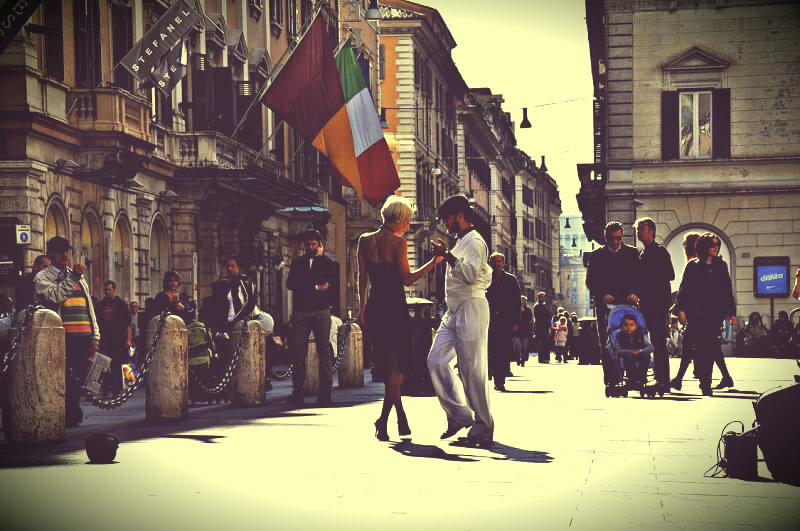 The harmony of their dance against the iconic city street captivated and swept us away into an often neglected state of wonder. In this random instant, an idle moment of their everyday became a lasting image in ours. Previous Oppa Gerbil Style…photo essay by Eunee. Next Life..you are always changing.